Ever fancied using a watch to start your car? Thanks to a tie-up between luxury watchmaker Jaegar-LeCoultre and car manufacturer Aston Martin, your wish to play Bond has just come true. 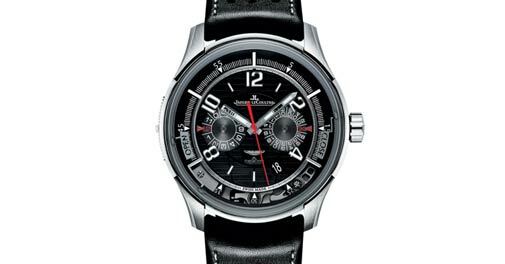 The new Jaegar-LeCoultre AMVOX2 Transponder watch is a mechanical-electronic hybrid that lets you lock/unlock the doors of the car with its remote control button, and turn on the headlights as well as start/stop the engine with its keyless access function. All this while looking like a million bucks! Housed in a 44mm-diameter titanium case with sapphire crystals, the watch uses 41 jewels, is 5.65 mm thick, and comes with a 65-hour power reserve. The Transponder's heart - a Calibre 751E - makes the logo spin on its axis as it ticks, and when it stops, you know that the watch has stopped too. Now, how's that for handy!